There are times in all our lives when we, or people close to us, are in crisis or under stress for one of a variety of reasons. 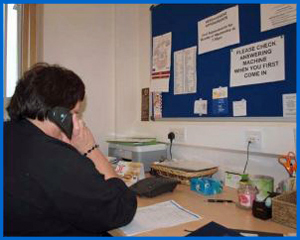 Telephone listening and information service for adults and children who are experiencing stress or difficulty in life, arising from bereavement, separation, loneliness or any other reason. Feel free to ring in confidence for information and support. One-to-one bereavement support available by appointment by contacting 057 9326604. There is no charge for Bereavement Support. Besides Tullamore Parish, there is a large number of support groups operating in our area. Please click on any of the links below for further information. You can also access a full list of voluntary groups by selecting "Parish Groups" from the menu.